Dr. Daniel Schickner, a partner in both Western Medical Eye Center LLC and Physicians’ Surgery Center LLC, is a board certified ophthalmologist. With close to fifteen years of general ophthalmic experience, Dr. Schickner serves as the Assistant Medical Director of Physicians’ Surgery Center LLC. A former member of the credentialing committee and Vice-Chair of Surgery at Kingman Regional Medical Center, Dr. Schickner holds current privileges at both Western Arizona Medical Center and Kingman Regional Medical Center. 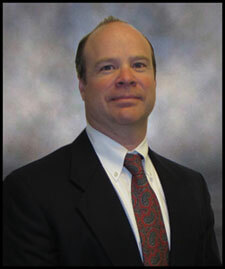 Dr. Schickner completed his ophthalmology residency in 2000 at the University of Medicine and Dentistry of New Jersey. Dr. Schickner completed his general surgery internship in 1997 at Loyal University Medical Center in Maywood, IL. A 1996 graduate of Georgetown University School of Medicine, Dr. Schickner completed his Master’s degree in Physiology from Georgetown University School of Medicine in 1992. Dr. Schickner is a 1991 graduate of Washington University where he earned dual Bachelor of Science degrees in Biology and Psychology. Dr. Schickner is a Diplomate of the American Board of Ophthalmology, a Fellow of the American Academy of Ophthalmology, a member of the American Society of Cataract and Refractive Surgery and a member of the Arizona Ophthalmological Society. Dr. Schickner holds current licensure in Arizona, Nevada and California. ©2019, Western Medical Eye Center, LLC.